When you first start you will have access to the jump, as you complete each row you will unlock a new item at the pet park but you can click on any piece of equipment to unlock any of the medals. For example, to get a tunnel related medal you do not need to click on the tunnel, any piece of equipment can get you a tunnel medal once you have completed the previous row and unlocked the tunnel. 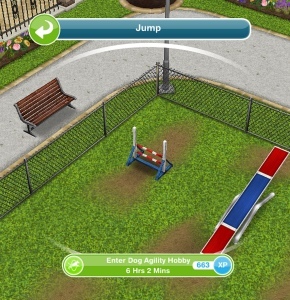 After the time has passed come back and click the exclamation mark above your sims head to find one of the dog agility medal collectibles. 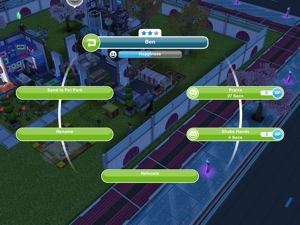 Every time your sims enters the dog agility hobby their dog agility hobby level up percentage will increase, once you reach 100% you will level up, there are 6 levels. 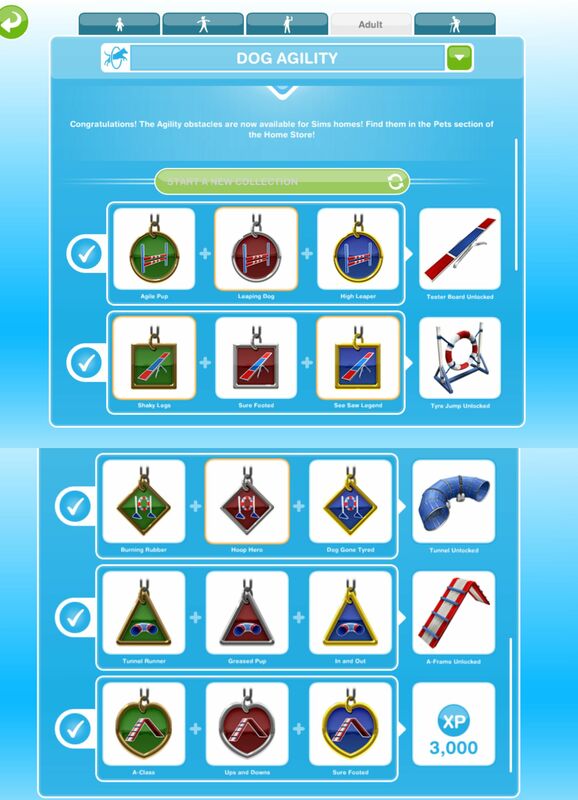 You need to reach level 6 to be able to unlock all of the dog agility medal collectibles, once unlocked you will be able to find them. I got a dog agility course in an Archived home. Is there a way the at I can use it? Get a dog there and try, it should work! 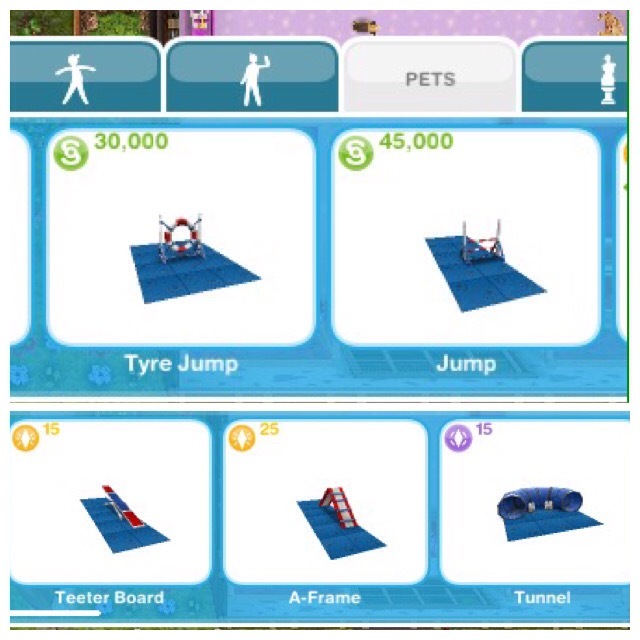 If I buy one of the new architect homes that has the dog agility equipment with it do you think I will be able to do the dog agility hobby even if I haven’t built the pet park yet? It should work, you’ll have to get a dog in that house and try it to be sure! I also purchased the house with the dog agility equipment. 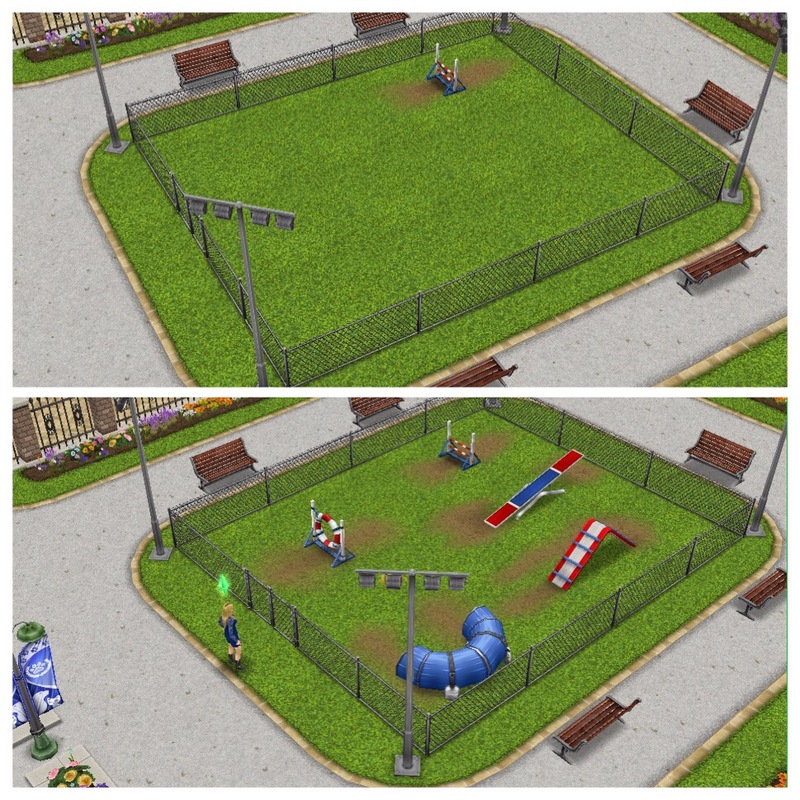 I’ve built the pet park but haven’t collected enough orbs to open the agility course. For me, the equipment at home absolutely did not work. I tried 3 different sims, both adults and a teen. My dog has a collar. I’ve checked to make sure that all of the equipment is accessible. The only thing that happens is the sim will stomp his/her foot and a bubble with a red circle with a slash through it appears over their head. Just thought I’d pass on the information. Not complaining, though, because even though it doesn’t appear to be available until I open that area in the pet park, in the long run I’ve saved loads of LP and SP as that equipment is not cheap. First, I want to thank you for posting this, as always you’re a huge help! I love your blog and videos, you do a wonderful, professional job! I am currently working on this hobby and I now have completed the building of all four of the life dream areas and this is the last hobby for me to complete. You have been my only source of information and a huge inspiration to me along the way. Thank you again! Maybe you could suggest to the good folks over at firemonkey’s (sic?) to give us LP’s in exchange for XP’s after we reach level 55 because they are pointless after you reach level 55, what do you think?